Anonymous, 24 Aug 2012can this phone had supported youtube?First of all R.I.P English . No,It doesn't support youtube streaming. 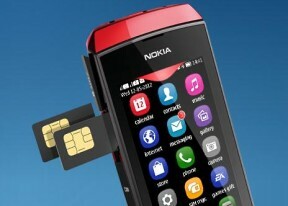 I wana buy dis phone but i've read prety bad comments bout it like da fon's hanging,dual sim dsnt func. properly...da sound's nt good,etc ..IS DIS A GREAT PHONE OR NOT??? Can someone tell me how good is the camera, does it have multi tasking and how much it cost in nigeria. Anonymous, 24 Aug 2012Nocan this phone supported youtube? Anonymous, 24 Aug 2012Nocan this phone had supported youtube? sreevals, 24 Aug 2012asha 305 is a gr8 fone in dis price range. I luv dis fone, its amazing. It has lot of features... morecan u play full screen videos?? asha 305 is a gr8 fone in dis price range. I luv dis fone, its amazing. It has lot of features like, if any1 is calling u jst flip the fone it'll go silent automatically. And it have pinch zoom and good resistive touchscreen. It's video quality is awesome. If u want to watch videos frm youtube jst dwnload an application frm ovi store. 45 lakhs of songs r free for 3 months and 40 ea games including nfs and vice city and many other exciting games. I dont knw y these people r saying bad things about this phone, but in my words it is the best phone in this price range. Anonymous, 23 Aug 2012Please tell me! in this phone u tube is supported!!! No. is nimbuzz or fb chat supported in asha 305 ?? if yes then does it work smoothly?? n wht abt the touch?